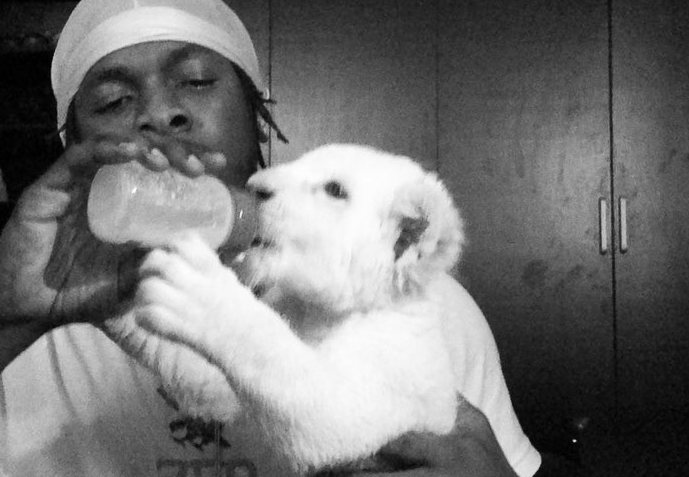 Runtown shared a photo and video on his Instagram @runtown with the rare white lion. "Say hello to my pet lion.What should we call it?" Davido also commented "God forbid"